We are thrilled to have published the first volume of the Lord's messages on Amazon E-Kindle! This is the first of three volumes to be published. The second and third volumes are very soon to follow. There is a page on the right side bar of the blog where you will find the links to E-Kindle for your specific country. 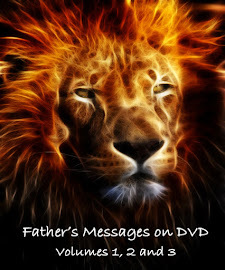 Please help us to spread these messages worldwide so all may know of our Father's great and eternal love for us! All praise, honor and glory go to the King of kings and Lord of lords, now and forever! Thank you to the incredible people, you know who you are, who have spent countless hours editing these messages so that they could be published in this way. May He abundantly bless you and your loved ones for your obedience. I AM is in your presence and I AM will guide you in every step on this path of life. My design is perfect and has been created in order for you to achieve the deepest intimacy possible, while still yet here. Those who have ears to hear and obey My voice will have this joy and this peace that you speak of, for your prayers are heard and answered. I have bestowed upon you every good gift, every gift from My Father, every gift from above. There is nothing you shall want for. You have seen My faithfulness this day, and I tell you, you will see more and more. I will continue to manifest Myself powerfully and in ways never seen before, in ways not expected by man, nor understood by most. For it is only you, who walk with Me and talk with Me, who honor Me and praise Me and glorify My name - you are the chosen ones. You are the ones I will reveal My heart to. It is given unto you the knowledge, the wisdom and the understanding of the Kingdom of Heaven. Storehouses of blessings pour out upon you and will continue. You will have everything you need. You must trust in this. I have told you many times, and I tell you again, these paradigms are shifting radically, quickly. There is great transformation in this age, the likes of which have never been seen, and so very few are prepared. Rest your minds My precious ones. Be at peace in your spirits and in your hearts. I have placed all of these desires in your heart. You look to the best interest of others, because I have placed that desire within you. It is My heart which dwells within you. You have done what I have asked you to do in that you mirror Me; you are becoming Me. I don't need copies. I need souls that are willing to be Me, that have come to that place of complete surrender, so that I can fill, fill to overflowing, so that when others see you, they see Me. When you speak, they hear My voice. When you reach out to help, it is My hands that comfort. Your feet now only tread in places I would walk. Did I not tell you that We would become One? We are One. You are One with Me and One with My Father. The Spirit operates as One. You are One family. I have shown you in the spirit, My Bride hearing One voice, One direction, One calling, because I am only One heart. You are now coming to the realization of what your specific roles are in greater detail. You were shown how the Bride has ascended in the whirlwind of fire to the Throne, the very Throne of Heaven, where I have given each of you personally and individually the scroll that has your design on it. I have told you that you should come deeper and deeper into intimacy with Me, that I would reveal more and more specifically what each of you are to do. You are learning this day by day. Never doubt the plans I have for you, for I would never put you in harm's path. I love you too much! You have prayed for faith like children. This is being answered. Continue to pray for this- faith that moves mountains, faith that will heal, faith that will raise the dead. You will do these things. Did My Word not speak of this? That you will do these things and more? Great exploits you will do in My name. The world will know who the Great I AM is, and they will know it through you. You are the salt and the light, and do not grow weary. I have equipped you with all that you need. I will give you the strength to persevere. I am faithful and I am true. My Word never changes. There is no time to hesitate. Forget the past. It is done. Do not worry for the future. Be with Me now. I will instruct you and guide you personally. I give you My peace My children, My sons and My daughters. My rod and My staff, they will guide you. Your names are engraved in the palm of My hand. Though you may walk through the valleys of the shadows of death, you will not fear. You know who you are, embrace this truth and move powerfully forward. I cannot speak these words too many times: boldness, power, authority, courage, strength, perseverance, faith. I cannot be stopped, therefore, you cannot be stopped in what I have spoken for you to do. Walls will crumble at the sound of your voice. You have seen it in My Word, and you will see it again; but you will know it, you will know it in your own lives. For you will speak and it will be I who will be speaking. What has been spoken will come to pass before your very eyes. So I speak this word to you tonight. Speak forth abundance, multiplication, over-flowing blessings, speak favor over you and all your loved ones, over every situation. Speak power, speak authority, speak strength, speak truth. Speak and it shall be as My words are. For it is I who counsels you. My sheep know My voice. I give you My cloak of Righteousness, I shelter you from the storms ahead. My Mantle protects you always. I will feed you from the wellsprings of My heart. In Me, you will only know love- pure unconditional love, joy and peace, for these are the gifts that I give My children. I have all in My hands; you have seen this. Lay down your burdens, I will restore you and I will refresh you. Remember, My yoke is easy and My burden is light. Do not be troubled. Do not be anxious. A great and glorious day is dawning. I would have that you would be filled with My peace, My exuberance over what is about to occur. Yes, you will see much. Yes, there will be dark days. Yes, My judgment must come, but as I always tell you, keep My perspective. You no longer see things from this realm, you operate from My perspective. So you understand that judgment will be swift; it will be final, but it is necessary. I assure you, that it will last no longer than is absolutely necessary to purify this earth, and then all will be accomplished according to My Word. Sorrow only lasts for a night, but joy comes in the morning. You know this, and it is always darkest before the sun comes up. Just a short time children, and then I'll bring you home. I have made you to be My kings and My priests in this place. What higher honor could I bestow on you than to lead My people, protect My people, for the wolves would scatter them and kill them and attempt to steal them from Me. Everyone is precious in My sight. You have the greatest honor of helping Me bring in these lost ones. I will tell you again; they will be coming soon, each one hand-selected, each one purposed from the beginning of time for this experience as you were and are. Everyone equal in My sight, everyone loved the same, everyone just as precious as the other. Pour out My compassion upon all those I will send. Love them as I love you. Daughter it is I, the King of Kings, the Lord of lords, the God of Abraham, Isaac and Jacob, the God who was, who is, and who is coming. Tell My children this day, don the garments of praise and cast off the spirit of heaviness, and the cloaks of darkness that seek to surround you and suffocate you from My spirit and the life I have placed within you. I told you this darkness would intensify and it does each moment, but as it does, My children must know that My light must radiate in and through them, to all they come in contact with. For if you were to not shine My light in this place, where would the lost see Me? Where would they hear My words? How would they know who I am? How would they know that anyone cares? I told you I would sift and I would shake and I would take the lukewarm and harden their hearts, and turn deaf their ears if they should not choose Me-their Savior. This I am doing in ever-increasing numbers, hence, the darkness intensifies. But My children rise, for you are My army, this is your calling. You know who you are and you know what must be done. Do not grow weary My saints, for it is I who dwells within. The adversary, seeks to keep you downcast and heavy-hearted, but this is not who I created you to be. He would seek to discourage you and distract you, but this must not be. My yoke is easy and My burden is light. Remember this as the days grow darker. I tell you again and again, you have nothing to fear for I will always take care of My own. Others may leave, others may deceive you, relationships come and go, for there are seasons to everything. But I remain the same always. I never change. I am faithful and true. I am that I am, the Alpha and the Omega, the Beginning and the End, the First and the Last. I am your All in All. A great peace I have placed within you, but it is up to you to allow that to be revealed to your spirits, in your everyday lives. Only you can come to full surrender in order to walk in that peace and that serenity in a world full of turmoil and chaos. It is My gift to you. Receive it. Do all you can to speak of Me. Tell them I am coming. Tell them their King knocks on the door of their hearts. Tell them this is their last chance. Be My ambassadors in this place and surely your reward will be great. Continue to pray for an increased faith and trust and it shall be given. Pray to be used powerfully and it shall be done. Hold fast to that which you know until I come. Your steps are sure, for it is I who have ordained them and you do not walk this path alone. You have My full authority in Heaven and on Earth. Use it wisely, for I entrust this to you My faithful ones to accomplish much, to gather the lost to Me, to reveal My heart. It is coming children, it is coming, truly I tell you judgement is at the door. Forsake all else to focus on Me, for this world is fading and I must make all things new. Much devastation comes, much death and much destruction, but in your preparation I am teaching you compassion. I am giving you My strength, for you alone would not stand for the things you will see. I give you everything that you need to minister, to rescue, and to love as I have loved you. Be powerful, be bold, be courageous in Me, for this is who I created you to be. We have the victory. Continue to have this perspective first and foremost as you walk out these days. Those who are in Me can not fail, for I will not allow it. Trust and obey. I give you My great love this day, to guard you and guide you in all of your steps. For I hold the keys to your heart. Go forth in peace and in love My friends, My faithful ones for truly your King loves you. Daughter of the Most High God, speak and allow Me to use you as My voice piece to this nation and the nations of the world, and fear not the things that I will say. A great and mighty song, a song of the redeemed reverberates in the heavens, as all the saints prepare for the great and terrible Day of The Lord. To you who call Me your Shepherd and know My voice, and to all of those who have gone before you, it has been given unto you to know the season that you are in. I have been speaking of times and seasons- appointed times. You have the understanding. And those who seek Me with all of their hearts will be given this understanding as well. And although terror and chaos will reign around you, My peace you will know. I am The Lion of the Tribe of Judah. Hear Me roar and the heavens thunder, as I come to bring judgment where judgment is due. I will over turn all. I will shake every foundation to its core. Already, the great threshing is taking place, as My angels sift and I separate the sheep from the goats. No more will I allow the abominations and the filth to stand. No more will I allow My people to play harlot. The day is far spent, and I tell you My children, night is come. I will tear this once mighty nation in two. I will strip her of all that made her glorious in the past. My once mighty hand of protection and blessing has been removed and this nation will fall. Utter will be her destruction, and she will know no relief. I have given her over to all that she has desired, for I AM a God of My Word, and when you seek darkness, you shall have it in all of its entirety, nothing held back. America, you have reaped what you have sowed. I am done with you! I will show you who is The Lord God Almighty, The Creator of all things. Hear Me now My sheep, My children and those of you that I call My friends. Fear not My little ones for I will protect you from all that is evil and all that is coming upon this earth. I have sealed you in your foreheads with the seal of The Living God and you will not be touched. For all of those who are preparing places of safety for My people, stand firm and know they shall be coming very, very soon. Worry not the things that have not manifested as far as supplies, for my storehouses of blessings will be super- naturally upon you as I know all things required. Thank you for your obedience, but know that I will always meet you in the steps that you have taken and provide all. I will protect and I will multiply. I will establish all that is necessary to sustain all of those in these places, so have no fear My children. Only trust. My supply is endless. And as you are in Me and I am in My Father, all belongs to you. In a moment, when the wicked will think not, all will commence. In one day and in one hour, it will be so. Do not grow weary and become faint My saints and My warriors, for I provide all of the grace that is sufficient, all that you need. For My word is true. I am ever faithful. You know this. Many, many, many will die in their sins, and for this My heart grieves, for it was never My desire that one should be lost. This is a time children that I wish you to reflect and remember and intercede for all of those you know. Never cease praying. For in a moment, for so many, it will be too late. For their time will have come, and the choice will not have been made for Me. Know the heart of your Father and the love that has been poured out for all of you. Come deeper now My sons and My daughters. It is the moment to completely cover yourself with My robe of righteousness, to hide yourself from the indignation as it passes. Shield your eyes and cover your ears. Come under My mantle of protection. Anoint your homes and your families. You may do this also in the spirit for loved ones that are not near. Cover them in My blood. Ask for My holy protection, for My angels to surround them as well as you and your places of dwelling. Children, seal all around you, as I give you this hedge of protection for I tell you the ark door is closing. I have shown you in the spirit last night that all that has been prophesied in My Word, the evil that will be unleashed - comes in these judgments. The gates of hell have been opened and terror will reign. As My Holy Spirit brings it to your consciousness throughout these days, I would ask My dear ones to have a heart of contriteness and humility, brokenness and repentance. Come to Me as lowly and meek lambs, surrendering all in every moment, continually asking for Me to keep you purified and holy as I AM holy, for it is in this that your transformation will come. You will be fed from My rivers of living water. Pray to be used in the spirit mightily and it shall be given unto you. Pray to be My hands, My feet and to speak the words that I give you. Pray to manifest from the supernatural and it shall be so. Pray for My anointing and it shall be upon you. Pray for the words from Our Father and they shall be given unto you. 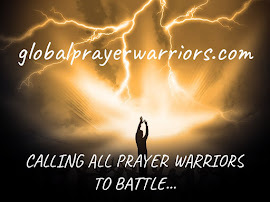 Pray to reach the hearts of men and your prayers will be heard. Pray to minister and to heal and to rescue and it shall be done. Never doubt that each prayer is heard and answered according to Our Father's will. Have faith children, have faith! To whom much is given, much is required, but I will raise you up as mighty warriors, and you will do mighty exploits in My name and for My glory. Be in Me this day and always, knowing that it is I, Your King, Your Lord, The Creator of All who dwells in this your tabernacles. I will share with you all of My wise counsel, wisdom and understanding. You will have this to guide you along the ways that I will bring you. Abide in Me and all will be well with your souls.